The phenomenon of the transmission of the heat through a medium where the particles of the medium themselves carry the heat energy from one place to another place is called convection. This kind of transmission of the heat happens through both liquids and gases. As the liquid and gas molecules are loosely attached with each other they will have a permanent displacement in transferring the heat energy from one place to another place. The process of convection is little bit quicker than conduction. 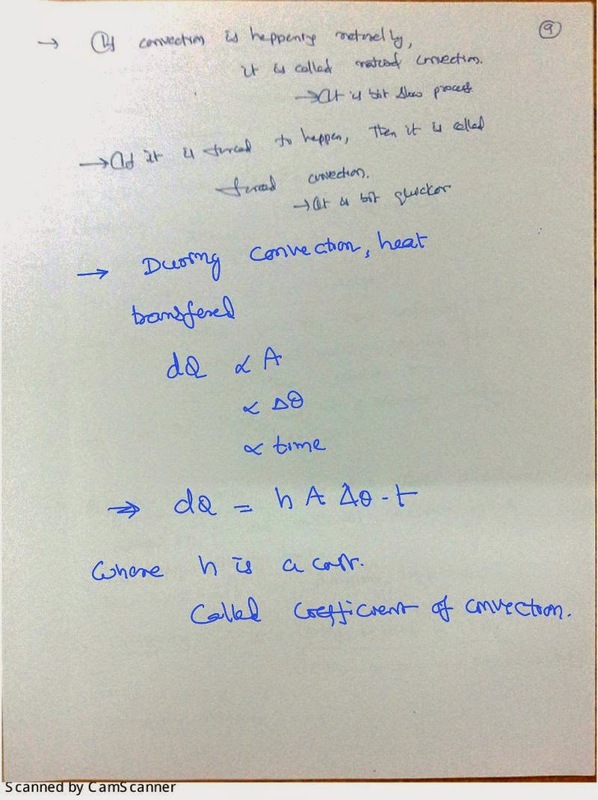 Both conduction and convection demands a medium for the transmission of heat. If the convection is happening naturally because of the temperature differences then it is called natural convection. If the convection is forced to happen, then it is called as force to convection. 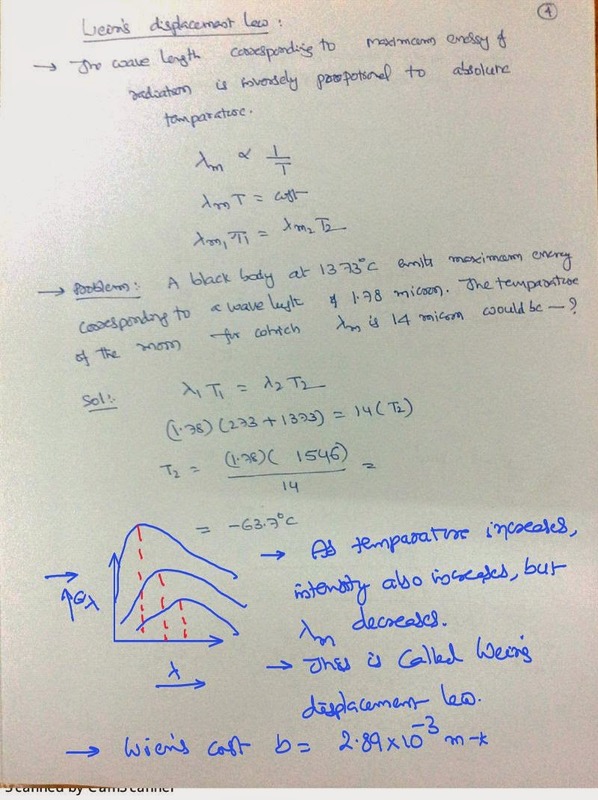 The rate of flow of heat in convection is directly proportional to the area of cross-section of the fluid flow and the temperature difference between the two points. We can eliminate the proportionality by putting a constant called coefficient of convection. The coefficient of convection also depends on the nature of the medium but not on the physical dimensions. The phenomenon of the transmission of the heat which doesn't requires any medium for the propagation is called as thermal radiation. Heat is travelling all the way from Sun to the earth using these thermal radiation phenomena. Between the sun and earth there is a lot of empty space that is vacuum. Still the heat energy is able to flow because of the phenomena of thermal radiation. Thermal radiation travels in the form of electromagnetic waves. The velocity of the thermal radiation is equal to velocity of light. The intensity of thermal radiation obeys the inverse square law. During the radiation process of the medium is not affected in any manner. It means it is neither going to give the heat energy to the particles of the media nor going to take the any energy from the particles of medium. To explain the transfer of the heat we are having a theory called Prevost theory of heat exchange. According to this theory all bodies always emits heat radiation but never cold radiations, provided the temperature of the body is more than absolute zero temperature. The bodies with higher temperature emit more heat radiations and the bodies at a lower temperature will emit less number of radiations. If a body emits more radiations than what it absorbs, it will lose its temperature. A body which absorbs all the radiations incident on it and emits all the heat radiations that it has is called as a perfect black body. No body in the nature is perfectly black. Lamp black and the Platinum are some of the bodies who are having properties near to the perfect black body. To measure the amount of the energy that a body can emit or absorb with respect to a perfect black body we have defined a term called emissivity. Emissivity is defined as the ratio of energy emitted by a body when compared with the energy emitted by a perfect black body. 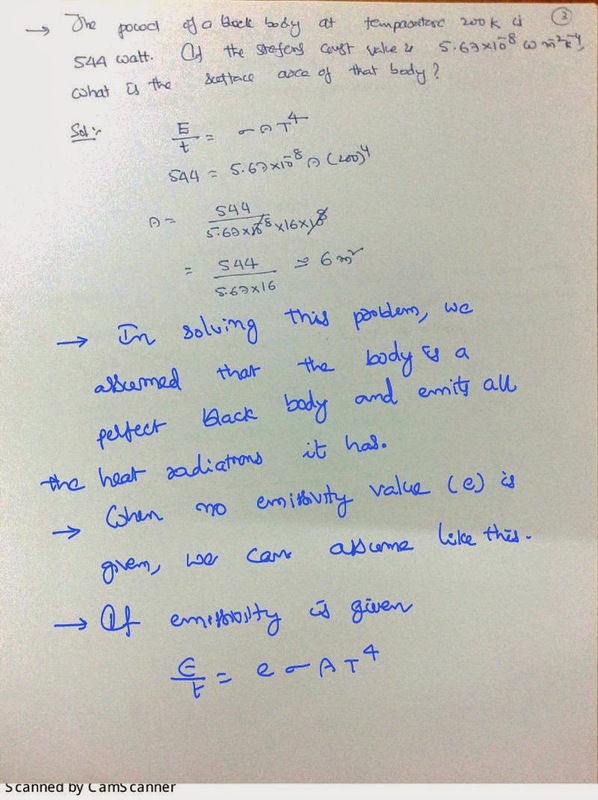 For a perfect black body the value of emissivity is equal to 1 and for any of the other bodies that is available in the nature its value is less than one. The energy emitted by a body per unit surface area per unit time and is called as intensity. 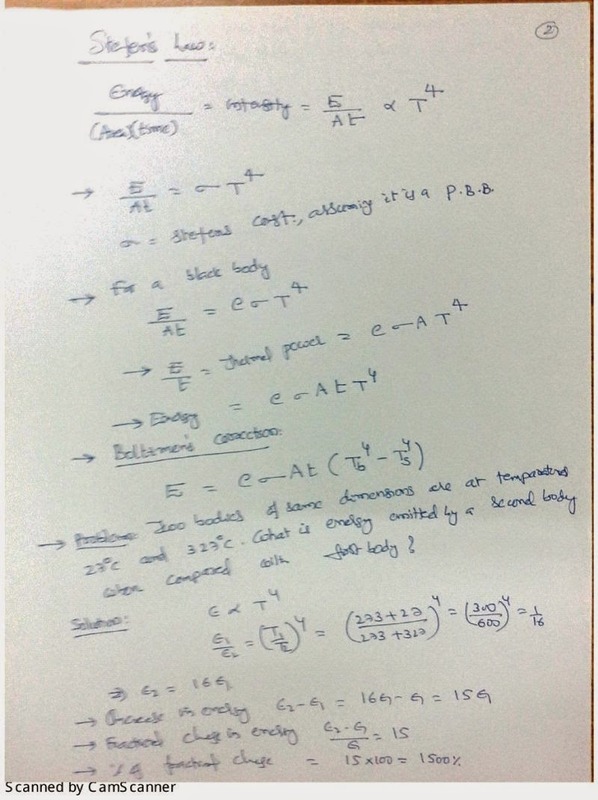 The energy emitted by a body per unit surface area per unit time is directly proportional to fourth power of the absolute temperature of the body. To eliminate the proportionality we can put a constant. Any body can emit the heat energy when the temperature of the body is greater than that of the surroundings. Taking this concept into consideration the law is be modified slightly as shown below. The power of a black body at a temperature 200 k is 544 watt. What is the surface area of the body when the proportionality constant value is given? The wavelength corresponds to maximum energy of radiation is inversely proportional to absolute temperature of the body. Even a small problem is solved on this concept and the graphical presentation is also shown in the following diagram.